On last Thursday (17.12. 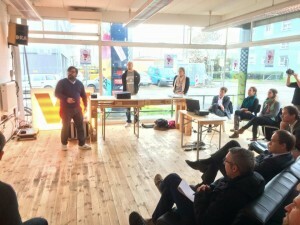 ), the GIScience group participated in a discussion about open data in Heidelberg within the city’s #getthemayor series. 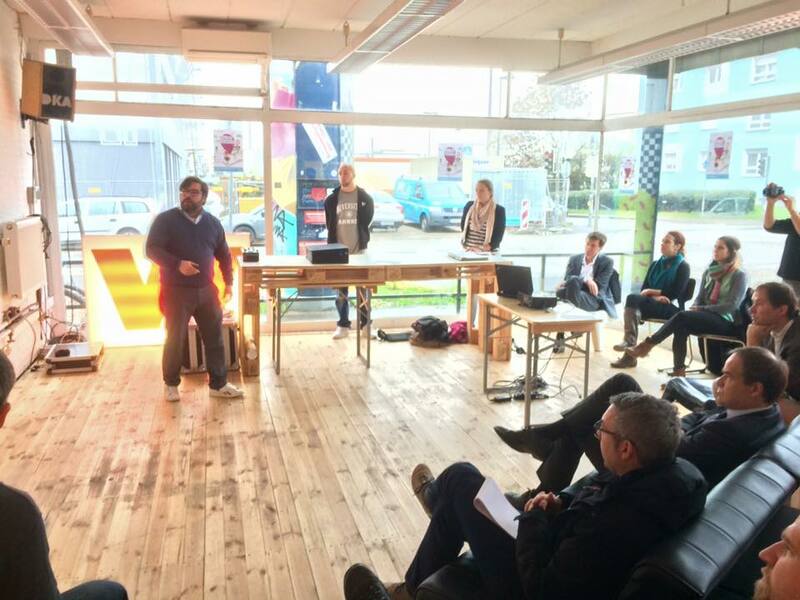 The discussion was initiated by the Open Data Rhein Neckar activists (thanks to Oliver Rack). Melanie Eckle, student assistent in the CAP4Access project, contributed by articulating our needs for open data from the perspective of accessible routing, i.e. particularly data about sidewalks, dropped kerbs and incline that is under open license and thus compatible with OpenStreetMap. We were happy to see how well-informed, open-minded and willing the mayor of Heidelberg and the responsibles employees were. The Rhein-Neckar Zeitung (daily local newspaper, ~80.000 copies) reported and MRN news broadcasted a video on youtube.